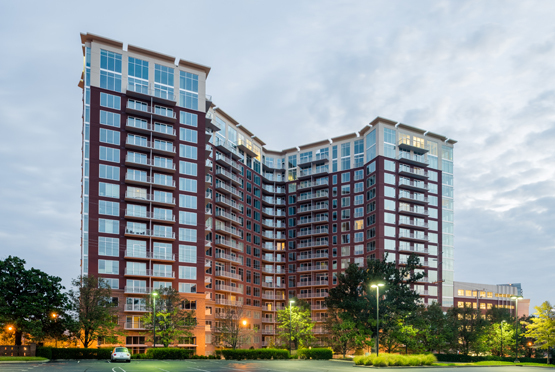 Located on the ‘roundabout’ in Nashville’s historic Music Row District, this modern multi-family mixed-use development is surrounded by record labels, recording studios, and businesses serving the music industry. 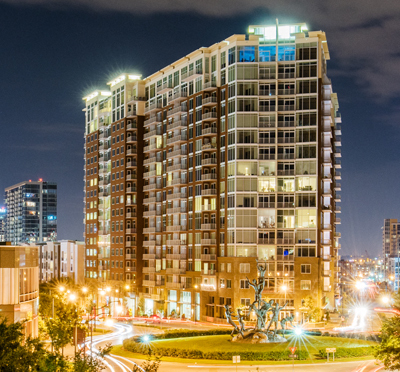 The 18-story tower features 430 luxury apartments, including 14 uniquely designed penthouses and nearly 6,000 SF of retail space. Residents and their guests enter a contemporary two-story lobby designed with warm wood accents balanced by sleek finishes and clean lines. Amenities fit Nashville’s music scene, such as the Jam Room which overlooks the lobby and provides a place where musicians can play and conduct jam sessions. Other elevated amenities include the spacious clubroom with a built-in fireplace, lounge bar, and gaming area. Large sliding glass doors open onto the pool deck and courtyard, offering dramatic views of the Nashville skyline. Luxury units include studio, one, two, and three bedroom floor plans with floor to ceiling glass, quartz countertops, and hard surface flooring. RJTR provided full architectural and interior design services for Childress Klein for the LEED Silver Certified Element Music Row.